It sounds like Netflix is preparing to launch yet another gamer-friendly series. The streaming service already has Castlevania under its belt and is working on The Witcher, and now it seems a Diablo animated series may be next on the docket. Whoops, looks like Cosby guessed wrong, as he quickly deleted the tweet, but, as always, the Internet never forgets. 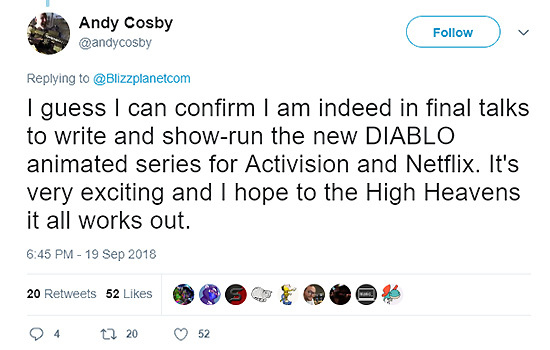 Based on his wording, it sounds like the Diablo show isn’t a done deal yet, but I’d say it’s a pretty sure thing. Diablo is a much bigger property than Castlevania, and that series worked out well for Netflix, so no reason not to go ahead with this one. 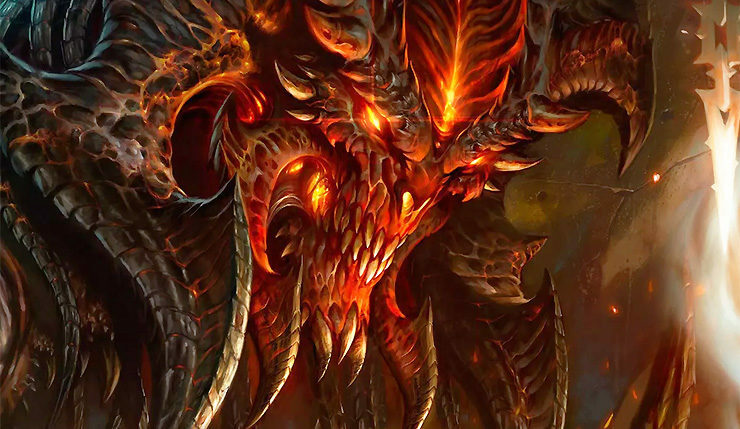 Diablo III continues to command a loyal fanbase over six years after its initial release. Diablo III Eternal Collection, which includes all the game’s DLC and updates and some new Legend-of-Zelda-themed goodies, was recently announced for the Nintendo Switch. Diablo III for Switch launches on November 2. What do you think? Interested in watching a Diablo animated series? What other video game franchises would you like to see head to Netflix? I’ll admit, I’ve never been particularly interested in Diablo’s lore, but perhaps I’ll be more into it in TV form.